The U.S. Supreme Court unanimously sided with Greensfelder client Advocate Health Care Network and two other religiously affiliated hospitals in a decision released June 5, 2017, regarding the scope of the Employee Retirement Income Security Act of 1974. The case, Advocate Health Care Network et al. v. Stapleton et al., involved the proper interpretation of ERISA’s “church plan” definition, a subject of recent intense litigation. Over the last four years, dozens of lawsuits have been filed against religiously affiliated health systems asserting that their pension plans do not fall within the church plan exemption because the plans were not established by a church. The Supreme Court recognized that the IRS, Department of Labor and Pension Benefit Guaranty Corporation had long taken the position that plans that were both established and maintained by religiously affiliated organizations qualify for the exemption. Despite this fact, three United States district courts had sided against the interpretation of the government and the defendants, and the courts of appeals had affirmed these opinions. 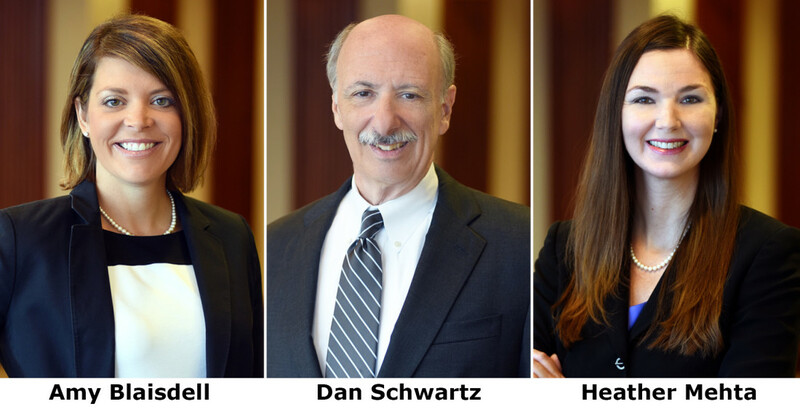 Greensfelder attorneys Amy Blaisdell, Dan Schwartz, and Heather Mehta represented Advocate Health Care Network in all phases of the litigation. Arnold & Porter Kaye Scholer served as co-counsel before the Supreme Court.